"The hardest act to follow is your father's." 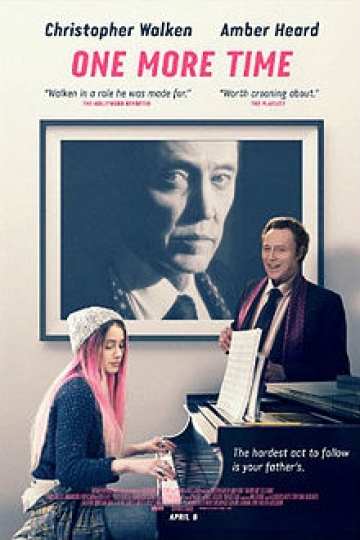 Jude (Amber Heard) is a struggling singer-songwriter who leaves to the Hamptons to visit her father Paul (Christopher Walken), an old crooner trying to get a musical comeback. One More Time is currently available to watch and stream, buy on demand at Amazon, Vudu, Google Play, FandangoNow, iTunes, YouTube VOD online.